Long time NAGE staff member Thomas Flynn stood beside UFCW emcee John Reilly, who rallied the group from the podium demanding fair treatment for union members, who are fighting a contract offer with inadequate wages, reduced benefits, and radical reductions for wages and benefits for future hires. Massachusetts AFL-CIO President Steven Tolman also attended the event and brought several AFL-CIO members along to show their support. NAGE is proud to stand together and fight for the best interest of organized labor everywhere. 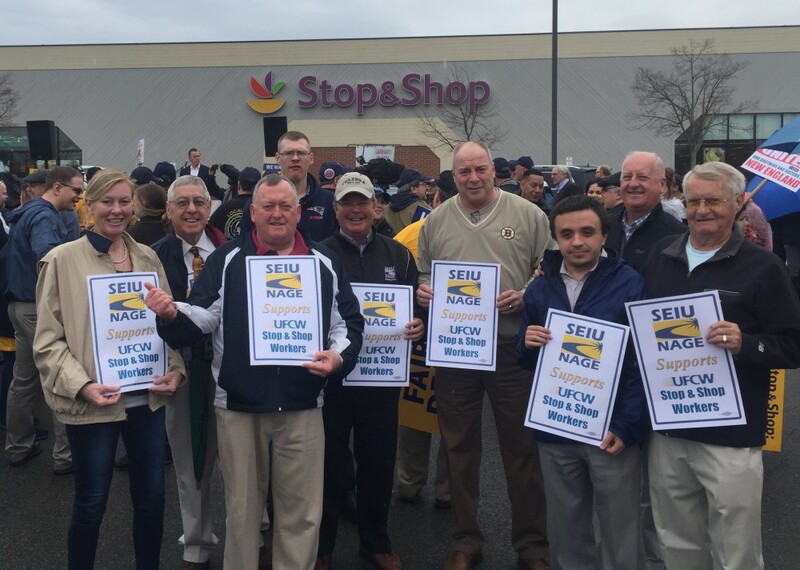 Thanks, NAGE members, the AFL-CIO, SEIU, Teamsters and the UCFW for standing together to push everyone forward.